Forget wishing fellow politicians 'Happy Birthday' on Twitter. That's lame. Nope..that doesn't work for Mike Quigley. 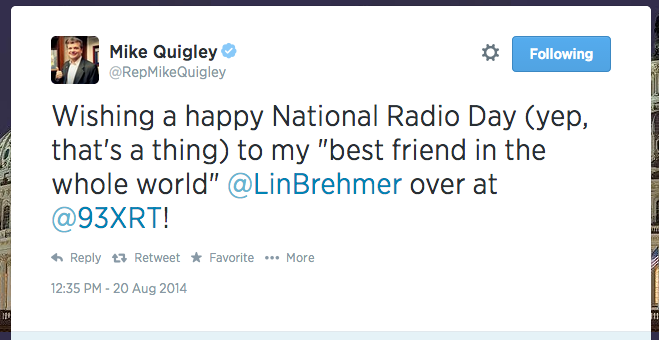 Instead...Congressman Mike Quigley is strutting around with his hip self with a shout-out to XRT's Lin Brehmer.